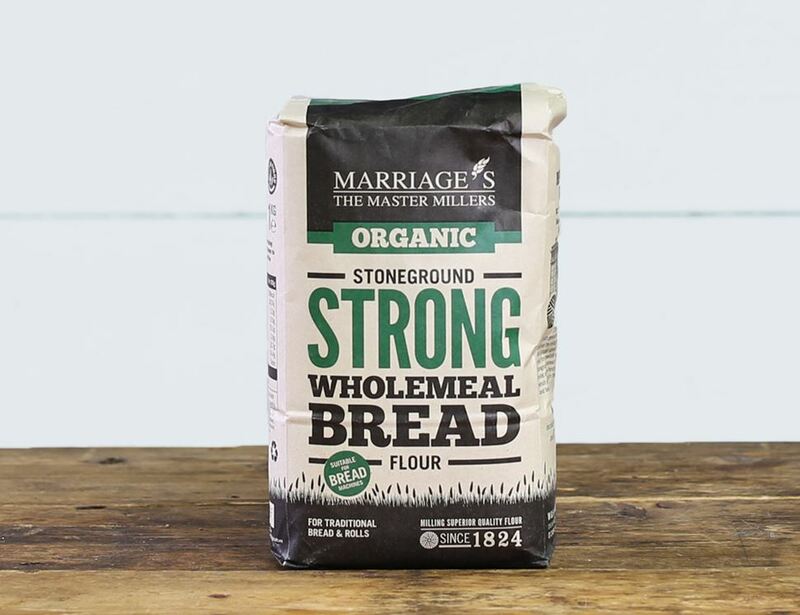 This wholemeal wheat flour is perfect for making bread, but can also be used as an alternative to white wheat flour in baking and other cooking. The Marriage family have been in flour for a while. In 1824, twins William and Henry Marriage, just 17 at the time (no A levels or play stations back then) started farming and milling. Back then the fields were harvested by horse drawn ploughs and wheat was ground using stones powered by wind or water. In 1836, they introduced a steam engine, which was more reliable and meant wheat could be milled, regardless of whether wind or water was available. Two centuries later, and the fifth and sixth generations of the Marriage family are carrying on the good work. (Albeit it with fewer horses). Hugh Fearnley-Whittingstall is a big fan, and so are we. They know their organic stuff. Wholemeal wheat flour* * = produced to organic standards. For allergens, including cereals containing gluten, please see ingredients in bold.